Clinic Synopsis: Several ideas and methods regarding creating a quality sound for the first-year string player will be discussed and demonstrated. Topics of establishing proper physical posture and bow hold, bowing sequence, music fundamentals, and the use of imagery will be incorporated into this session. Clinician Biographical Information Karel Butz teaches orchestra in the Cypress-Fairbanks Independent School District in Houston, Texas. 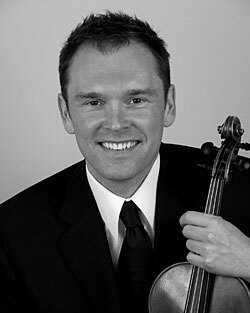 He previously taught orchestra in Carmel, Indiana, and served as adjunct violin faculty at Purdue University. He has taught violin for the Indiana University String Academy, Oklahoma Summer Arts Institute, and Bands of America Summer Symposium - Orchestra Division. He has performed with the National Repertory Orchestra, National Orchestral Institute, and Spoleto Festival USA. His compositions are published by Musica Propria. He holds a B.M.E. and M.M. in violin performance from Indiana University. Currently, he is completing his doctorate in music education at Indiana University.